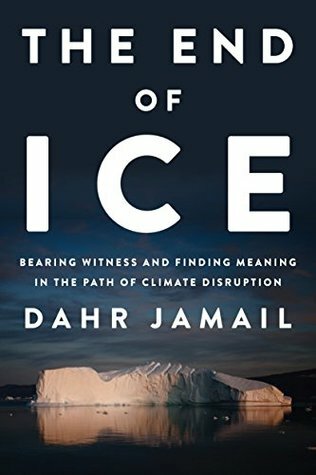 Dahr Jamail does a wonderful job weaving stories and experiences in with the brutal data about climate change. This book is written without acknowledging that the human appetite for animal flesh and products is the biggest reason we got to this point. It instead blames climate change for our declining ability to exploit animals. The whole time I was reading this I thought it was a very bad joke. Not easy to read a book that outlines all the ways our environment is reaching tipping points, but a necessary read. I appreciated the author's conclusion: that we need to get beyond hopeful/hopeless and reach a point of being hope-free so that we can grieve and honor the world we are losing AND find ways to make the new world livable. Dahr Jamail takes us on a journey to different pressured sites around the Earth. Talking with scientists about the impact of Climate Change and his reflections on the sorrow of watching the Earth collapse. A lovely, tender book. Beautifully written - you can feel his love for this planet that nurtures and sustains us. Eye-opening and depressing. I mean, I knew most of it before but Dahr Jamail connects the dots and shows the hopelessness of the situation.